For a couple who had recently moved into a new house with an old gas fire, we removed it completely and fit them with a new freestanding fire using twin wall up and out through the wall. 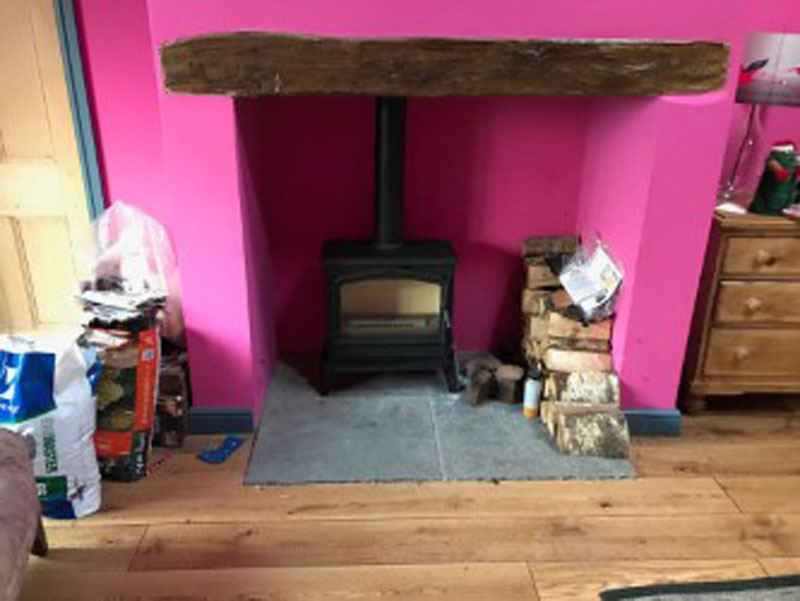 Contemporary grey slate tiles and hearth were built in to compliment and update the house, which has given them a real focal point to their main living room. We were asked to fit a new woodburner when a complete house renovation and a toddler didn’t gel too well with their current open fire! First of all the existing fire and surround were removed and the chamber exposed. New fireboards were fit and the surround was made good before the liner went in to connect to the new Parkray Aspect 5 The finished look,to be painted once the plaster has dried, has given the home a modern clean look finished off with a lovely slate hearth and a beautiful oak mantelpiece! A Happy Home! What was once a redundant gas fire, has now been replaced with a lovely wood burning stove, giving this beautiful lounge a perfect focal point! 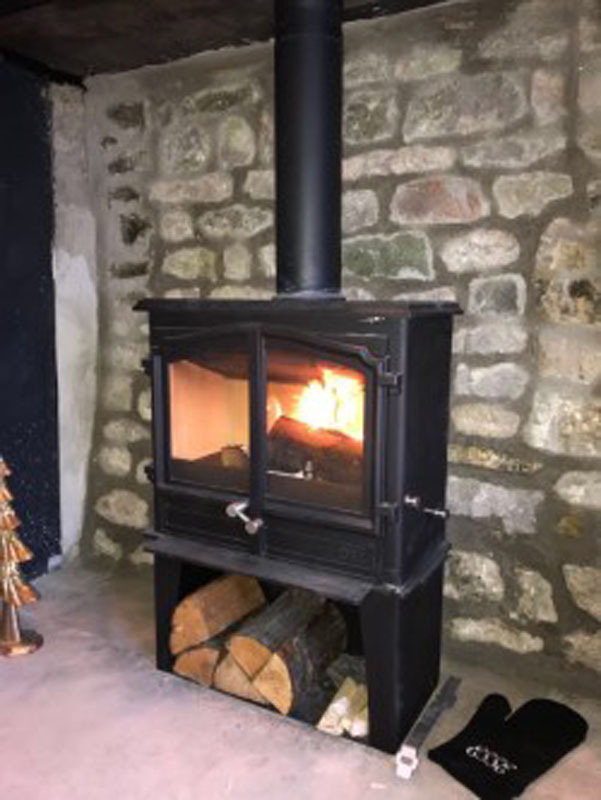 Warming up the restaurant in the newly renovated New Inn in Yealand, the Esse 100 gives a modern yet traditional look to this beautiful old fireplace. The contemporary Firebelly safely installed in its new home complete with new sandstone mantel and slate hearth. A new ESSE 100 chosen to fit beautifully into this eclectic home! Copyright © 2018 Lakewood Stoves. All Rights Reserved.Web Designby Urban Attic.